I’m not normally very organised when it comes to themed seasonal reading – it’s rare that an event coincides with a book I want to pick up and it’s hard to see why I should read something that doesn’t immediately appeal to fit the calendar (though truthfully I have a sneaking admiration for those well organised souls who have a proper reading plan and seem to stick to it – I’m sure it must be far more productive and illuminating to be that disciplined.) However last week I had a train journey and for train journeys I like short stories. Looking for something suitable I found ‘The Haunted Looking Glass’ which I bought last year after I saw it mentioned (I wish I could remember where – if anyone has blogged about how they read this every Halloween I owe you a thank you). I wanted it because I’m a fan of Edward Gorey’s illustrations particularly and books generally. 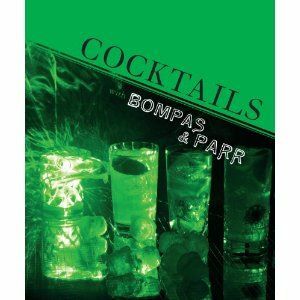 His personal selection of ghost stories would be far too good to miss out on – or so I reasoned. I was right; it’s also a bit of a bonus that this is such a lovely nyrb edition (if you like that sort of thing). I find short story collections make the perfect travelling companions for shortish journeys with lots of stops and starts and only partly because I’m exactly the sort of person who could miss a stop because I’m absorbed in a book. A really long journey will accommodate an equally epic novel but being away from home for a night, especially if it means going through somewhere like London – well so many impressions make it hard to know what sort of book will strike the right mood. A good anthology (or I will begrudgingly admit, a Kindle) should have something that hits the spot, the extra advantage of the short story is that it only ask for short bursts of concentration at a time. 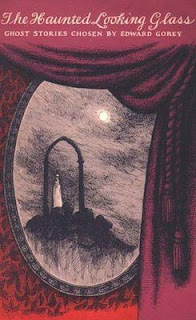 ‘The Haunted Looking Glass’ was a very well mannered companion, Gorey’s selection picks a fine line between gloriously camp and a little bit scary (fortunately for a woman spending a night in a strange room, buried deep in a nest of labyrinthine corridors, in an old country house, on an isolated golf course blasted heath nothing was outright terrifying). The most disturbing tale from my point of view was R. H. Maldon’s ‘The Thirteenth Tree’; Maldon relies on some suspicious shadows to inflict the shivers on his readers to good effect. 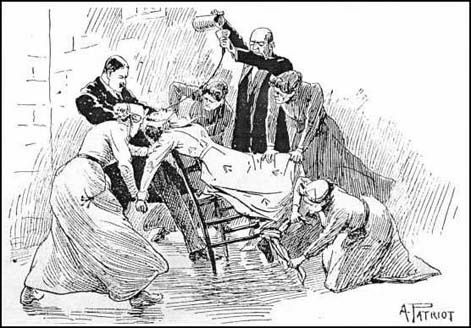 I could laugh off Bram Stoker’s rats, had no fear of R. L. Stevenson’s body snatchers, admired E. Nesbit’s ‘Man Sized in Marble’ – but nothing was getting me out of bed until daylight after the Maldon. It’s been a busy sort of week starting off with some energetic box shifting and winding down with a course on presentation skills and the welcome chance to catch up with not one but two other bloggers. Passing through London on Thursday I managed to catch up with Claire Paperback Reader who made me go the Primrose Bakery and eat cake. (I went with a malted marshmallow affair which was so good I’ve bought some Ovaltine to experiment with. Malt – if it’s good enough for whisky it’s good enough for cake.) Today I met up with Elaine Random Jottings who very kindly passed on a copy of Jennifer Kloester’s new Georgette Heyer Biography. We had a really satisfactory chat about our respective love for Heyer and bemusement at how reviled she seems to be in certain quarters. The rest of my day has been spent nose buried in Kloester’s book and slightly regretting that I’ve separated myself from my Heyer collection for the weekend. After the first flurry of conversation around the new bio a couple of weeks ago I thought about having a re-read of at least one Heyer (but I have no self control over things like this; one will not be enough) ‘The Castle of Otranto’ made me want ‘Sylvester’. Without precisely having favourite Heyer’s ‘Sylvester’ is undoubtedly one of the books I’ve read most often over the years – I have no idea how many times now – and which has stood the test of my aging and changing tastes. She is a fairly consistent writer – I don’t think there are any real duds amongst the fifty or so titles still in print; though this does make me more curious about the books she suppressed, consistent too in her reworking of a handful of plot devices some of which will appeal more than others according to mood. For me the appeal of Georgette Heyer is a combination of knowing exactly what you’ll get (romance in a swish setting), humour, and impeccable research. What makes her special is the way she handles her material, my problem with most historical novels that have come way since Heyer is that the details feel like window dressing with an overall effect that lacks cohesion. 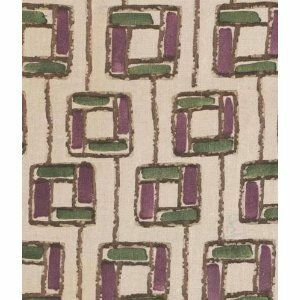 Heyer creates a world that feels complete and real after its fashion. 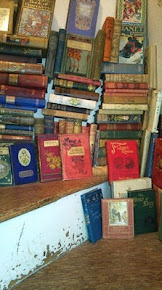 After Heyer it had to be the classics for me – which is another debt to chalk up to her. 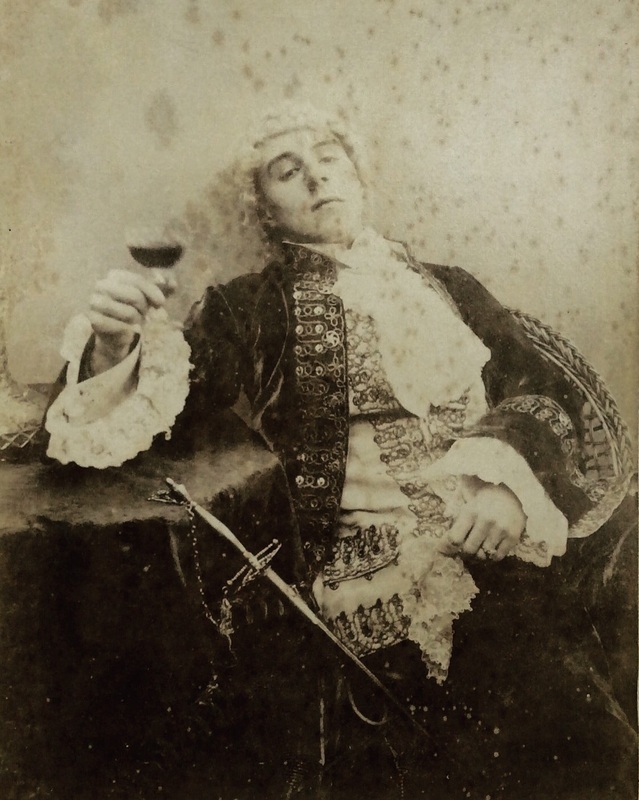 As for ‘Sylvester’ – I imagine anyone reading this is either already a fan and knows it or never will be (which is fair enough, we can’t all like the same things) but just in case the plot is something like this: Sylvester is the Duke of Salford, young, rich, and not bad to look at despite some unusual eyebrows – clearly he’s in need of a wife. Phoebe Marlow is the shy daughter of his mother’s dearest friend (who died in childbirth) so he decides to look her over. There is a wicked stepmother who’s bullied Phoebe into submission but failed to beat the imagination out of her so after one not very glittering London season Phoebe has returned home and penned a gothic romance – using Sylvester as the model for her villain because she found him insufferably arrogant. Marriage to the villain in your novel probably never feels like a good idea so Phoebe runs away with her friend Thomas in the teeth of a snow storm, all hell breaks loose behind her. Somehow Phoebe and Sylvester find themselves trapped by the snow in an isolated country inn where he gets over his anger at being humiliated and she realises he’s quite nice really. After that things get complicated – her novel comes out but life has imitated art in the most embarrassing ways and the path of true love is threatened by misunderstandings. All comes right after a mad chase across France for a missing nephew and we can imagine they live happily ever after. It could be awful but Heyer’s trademark charm and lightness of touch make it fun. She’s a careful observer of human nature – certainly enough so to keep her characters clear of parody as they play out there roles and she’s funny. The book is full of crisply delivered one liners that even after the umpteenth time of reading can make me laugh out loud. The weather has been grotty and work has been exhausting but what does that matter when you have the perfect book to escape into (and good friends with whom to share your enthusiasms). After ‘No Surrender’ I wanted more vaguely Victorian feminism, ‘Red Pottage’ was close to hand (on top of a pile of books waiting to find a home) and as stuck-in-a-book had said such nice things about it as well I picked it up. From the moment I discovered Wilkie Collins I’ve been consciously attracted to Victorian novels, especially the ones that have stayed the course and stayed in print – classics aren’t classics for nothing. It’s the one thing I really miss about old Virago, they don’t really print nineteenth century titles anymore, and though heaven knows there’s really no need to see another version of a Bronte book a few more Mary Cholmondeley’s wouldn’t go amiss. I have tried to find out a little more about Mary but didn’t get very far; her Wikipedia entry is brief and a little sad, some of her other books are still available either for e-readers, or at prohibitive expense in paper versions, the sort that have no blurb and demand a leap of faith I just can’t afford to make. ‘Red Pottage’ is the book that made Cholmondeley into something of a celebrity (back in 1899), is described as a satire (none of her other novels seem to be) and is for all I know the only one worth reading. 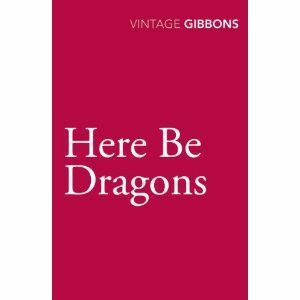 But it really is worth reading – if you ever wondered how people managed before television this is the answer, big absorbing books with moral dilemmas, an extensive cast of characters, and plenty of sensation. ‘Red Pottage’ would make a splendid miniseries, is in fact so full of lush descriptive scenes that I half felt I was watching it rather than reading. Meanwhile there’s Rachel, orphaned and destitute she’s been earning a hard living as a secretary but has recently come into a fabulous fortune and has returned to society. Along with money Rachel has the gifts of compassion and being an excellent listener; not inconsiderable attractions. She also has a best friend – Hester Gresley. Hester has imagination, excellent breeding, and a gift for writing – she too, despite being physically ordinary, is a woman men are attracted to, but seems to have decided on a life of work. Hester has had a sheltered upbringing in the care of an aunt who was particularly careful of whom she should mix with. Her aunt’s death has left her with very little money, and rather worse, the expectation that she will make a home with her brother and his family. The Reverend James Gresley is a problem, it’s not so much that he’s a bad man, but he’s desperately narrow minded and absolutely incapable of seeing any view point but his own. In this he’s helped by an adoring wife and a social circle somewhat below that to which his sister is used. Hester is a constant irritant to her family; they in turn are breaking her health through a lack of sympathy. There’s a lot going on in this book, some of it funny, some of it desperately poignant – the few spoilers I’ve given here come nowhere near to giving away the whole. Reading it for the first of what I hope will be a few times I was mostly struck with the Gresley family who really spring to life from the page. Cholmondeley stops just short of making James a villain or a Pooter like grotesque. He’s infuriating but human which turns out to be a powerful combination. The relationship between Hugh and Rachel is the other great strength of the book. Rachel knows, or thinks she knows all about Hugh’s past misdemeanours. She forgives him his transgressions with Lady Newhaven, but finds it much harder to forgive his conduct over the straws which she also knows about. Events unfold in such a way that Hugh feels he’s off the hook but he allows Rachel to believe he was never on it. When she discovers the absolute truth she’s devastated and this too feels real and gives the book a power that raises it above satire. 'Red Pottage' is everything I admire and enjoy in Victorian writing, more than that finding books like this are what makes reading such a personal pleasure to me – if you think it might appeal to you at all find a copy. Gothic revival architecture is something I’ve always found appealing, it’s all that exuberant decoration bordering on excess and then taking it a step further, it makes it look like someone was having fun (though clearly no one was thinking about what a nightmare it would be to dust) and that can’t be a bad thing (unless you have to dust it). Horace Walpole was an early champion of the Gothic revival, his Strawberry Hill a stage set for his imagination to play on. Having discovered the architecture the literature soon followed but I’ve been better at collecting gothic novels than reading them. I bought ‘The Castle of Otranto’ 18 months ago on the back of the excellent Strawberry Hill exhibition at the V&A and still hadn’t read it when I saw it come up on the classics circuit. It’s a short book and this seemed like a good opportunity to buckle down – after all if you’re going to read gothic at all you really should get the book that started it all ticked off the list. 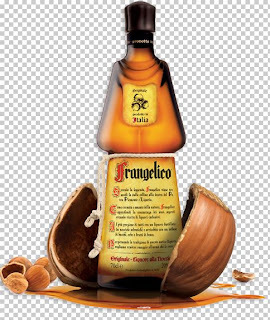 Having read Otranto my overall feeling is just that – one of box ticking, I’ve done it and I don’t need to do it again. Horace Walpole is not a brilliant novelist - though he does have some dazzling ideas. It’s hard to gauge how I’d have felt about ‘The Castle of Otranto’ if I hadn’t already read ‘Northanger Abbey’, or ‘Frankenstein’ or a good chunk of ETA Hoffman and plenty of others besides. I can just about imagine that it must have caused something of a stir when first published; with its collection of walking portraits, creaking doors, visions, death via giant mystical helmets, mysterious knights and damsels in distress there’s plenty to enjoy. It’s a testament to Walpole that plenty of people did enjoy Otranto and more than that took up his ideas and made some great books out of them. Reading some of the other responses to ‘The Castle of Otranto’ from the classics circuit I find myself wanting to defend it – there are plenty of redeeming features; Manfred is a decently complex villain with a lot on his shoulders, Theodore the pattern book hero with a positively suicidal desire to show his heart and soul are pure just manages to stay on the right side of parody, and Bianca the maid - well she belongs to eighteenth century London rather than 11th century Italy and is a great comic touch. I’m pleased to have finally read this book, just for the curiosity value alone it was time well spent. I think it will add to my appreciation of Scott when I come to read him again, and hope that it will help me with Thomas Love Peacock and Ann Radcliffe when they come off the shelf. 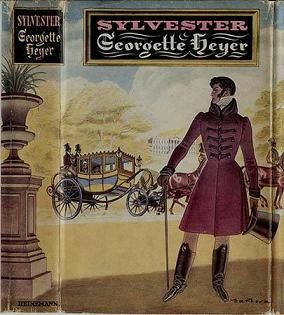 Mostly though it’s inspired me to want to reach for Georgette Heyer’s ‘Sylvester’ where she does her own parody of the Gothic novel, it’s a while since I’ve read it and I’m wondering how it will hold up. A week or two back Simon Stuck in a Book asked what was more important plot, character, or writing style? This book was very much on my mind at the time because, and Persephone are quite upfront about this, the style isn’t up to much, the plot isn’t up to much, and honestly the characterisation isn’t up to much but it’s still a brilliant read. When I started it, it was in the hope that it would be interesting as an historical document – a rare contemporary fictionalised insight into the suffragette movement, and not too hard to read. Expectations were far exceeded by the irresistible page turning quality of what I’m guessing must have been a labour of love for Constance Maud. She was clearly very passionate about the cause and although Maud never went to prison herself she knew several people who did – with this book the devil is in the detail, it’s the descriptions of meetings, of court, and of prison which really ring true and which in turn are thoroughly gripping. The other thing that’s important, and which I didn’t really expect, is that the heroine of the piece is a mill girl – Jenny Clegg. I did at least know how important working women were in the suffragette movement – and it amazes me how these girls found the time, money, and energy to work as they did and contribute to a cause outside that of keeping body, soul, and home together – it’s a true testament to how vital the issues they faced were. Jenny lives at home with her parents and a collection of brothers and sisters, her mother is a downtrodden drudge, her father a drunkard with a taste for gambling, but this is as nothing to her sister Liz’s husband Sam. Sam is not only violent (in the first chapter he turns up at the family home with a dog whip intent on fetching back his wife) he’s sold two of his children to an aunt and uncle in Australia without their mothers knowledge. The point that Maud makes is that not only are these men entitled to their wives earnings they are also legally allowed to beat them and mothers have no rights over the children they bear – they aren’t joint guardians, children are the property of the father. All this and more is pushing Jenny into the women’s movement and a clamour for the vote because she believes it’s the only way anything will change. What the women want are better provisions for health and safety within the factories they work in, better provision for education, the right to work in jobs that pay a living wage, for fathers to maintain their children, for parity in divorce laws – in short to be properly represented for the contribution they make to society and to be protected by the law. The books other heroine is Mary O’Neil a member of the landed and mill owning classes with political connections. After a visit to Jenny’s mill she takes up an interest in the cause which sets her at odds with her family. The women in Mary’s class are far better protected and far more likely to be Anti’s – although as Maud points out a few times as strongly as these women objet to the idea of the vote and the erosion of their position as the angel in the house they aren’t prepared to go to prison or otherwise court opprobrium in the way their suffragette sisters are. Belief in their cause and actions to further its aims lead both Jenny and Mary into prison and into hunger strikes in a system where class and connections make a difference. This book was written in 1911 when the militant movement was still relatively tame; the criminal acts the women are convicted of mainly consist of window smashing, the treatment they meet with disproportionately harsh. 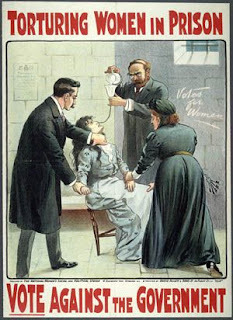 As Maud makes clear women weren’t treated as political prisoners but as common criminals, the hunger strikes are a protest against this and the establishments answer of force feeding leads to one of the novels most powerful scenes. ‘No Surrender’ should be a curiosity documenting a struggle long won but sadly 100 years later we still don’t have the kind of equality that Constance Maud dreamt of and worked for. This is a significant book both as a reminder of how far we’ve come and how far we have to go – and why fairness is worth fighting for. Of all the Persephone books I’ve read and loved (I have just over 40, have read about 30, was only underwhelmed once) the only one that matches ‘No Surrender’ in terms of making a point is Dorothy B. Hughes ‘The Expendable Man’. ‘The Expendable Man’ is technically the better book but ‘No Surrender’ is written with a passion and conviction behind it that makes it far more than the sum of its parts. It may be riddled with faults but it’s utterly compelling, not to mention enjoyable, to read. I cannot recommend it highly enough. Who doesn’t love a good florists (apart possibly from people with hay fever)? In Leicester we run mostly to supermarket flowers which leave me plenty of room to be beguiled by the florists stalls I see in London, I particularly like the one in Liberty’s and have spent more than one train journey home fantasising about a) being given those sort of flowers and b) what my life would have been like if I’d walked into a florists rather than an off licence one fateful day. In my imagination (and I quite accept that the reality would be very different) it would be all very artistic and marvellous, involve no drunks, and be terrifically well paid. Generally I content myself with books on the subject – I have a small collection which occasion raised eyebrows and derisive comments from my more militant friends but which my mother approves of and I’ve just got another one; Vic Brotherson’s ‘Vintage Flowers’ (unexpected vouchers = guilt free purchase of possibly unnecessary items, how I love vouchers). Flower books aren’t like cook books (I planted some Chinese lanterns 3 years ago because I couldn’t find them for sale cut and I’m still waiting for them to get big enough to use) I don’t really get the opportunity to buy, grow, or arrange flowers like this (the park just opposite my flat has some tempting things in it but I believe it’s a criminal offence albeit not a very serious one to pinch hydrangeas from a public space) but the pictures are great. It’s another world inside this book, one filled with vibrant colour and effortlessly chic and cheap flea market finds which turn into perfect vases. My life could absolutely be like that, oh yes it could, if only I had the space for keeping all those pots in (yes that’s what’s missing – cupboard space). What really sold me on the book were the first lines of the introduction “I have been a florist since I was 21. It is all I can do and I wouldn’t change it for the world. It started out as an accidental career...” What would have happened if she too had walked into a wine shop? After that moment of recognition it just got better. The colours in here are incredible, perhaps some of them are too much for everyday but perfect to cheer me up after a long grey day. I’m attracted to the mix of traditional and occasionally ironic, dream of finding the perfect old jug in duck egg blue, and feel freshly initiated into the mysteries of oasis and chicken wire. 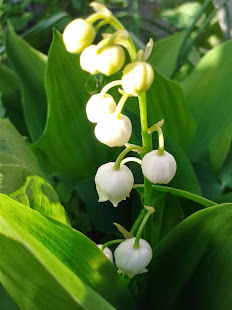 It's also just possible that this is the year I'll go all provincial lady and plant some indoor bulbs. Heaven. It’s probably true that you learn something new every day; on Tuesday for example I learnt that Georgette Heyer wrote through the night fuelled by Gin and Dexedrine (Radio 4, Woman’s hour). I’m currently fuelled by cocoa and gingerbread and have wanted to be in my bed since ten to eight. I found Georgette Heyer’s books through an English teacher when I was thirteen; she lent me ‘These Old Shades’ and I never looked back. (At the time I was a little bit obsessed with ‘The Scarlett Pimpernel’ and it’s a mercy that someone did steer me towards other books.) It never occurred to me back then that Heyer might be considered second rate, I loved her books – most of which I’ve read many times, they saw me through my teens and have been a comfort ever since. I’ve never accepted that Heyer should be a guilty pleasure; her writing is simply a pleasure but somehow she does seem to rile people. Carmen Callil apparently said “she just used ‘Jane Eyre’ and jiggled it around 57 times”, this is unfair partly because Heyer is clearly re-jiggling Austen and partly because poor girl meets rich (married) man wasn’t a new story when Charlotte Bronte hit on it, it’s also typical of the mean spirited comments Heyer attracts. 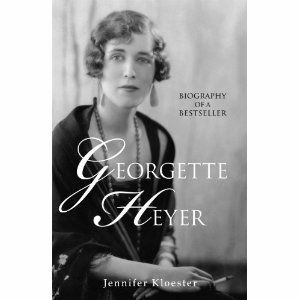 I don’t know what she was like as a woman, I’m curious to read Jennifer Kloester’s ‘Georgette Heyer – Biography of a Bestseller’ published a week ago, the reason for the Woman’s hour segment, and the subject of a very negative review in ‘The Guardian’. Listening to Kloester she’s clearly as protective of Heyer as I sometimes feel. I don’t often read biographies (or non-fiction) and can’t afford to be buying new books at the moment (which in practice so often means instead of spending £20 on one book somehow spending much more on half a dozen) but this one is tempting. It seems that the teenage Heyer was wrong for disliking Freudians, bohemians, and studio parties. Wrong for conducting her own contractual negotiations for ‘The Black Moth’, wrong for being the main breadwinner in the household whilst her husband retrained as a barrister, wrong indeed for caring about the money she made from her work, but these are all things I find admirable. I hope that Koestler’s biography is a success and meets with rather more favourable reviews along the way – there is self interest in this; there are half a dozen out of print novels, Heyer suppressed them in her life time, most of them are contemporary rather than historical fiction and I would love to read them – enough interest and maybe someone will dig them out and dust them off for a re-issue? 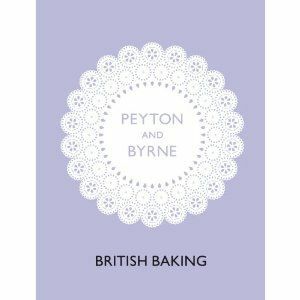 I’ve been a fan of Peyton and Byrne ever since St Pancras station reopened with one of their tea shops in it. If I’m with my mother it’s the first thing we do after getting off the train, if I’m on my own it’s my last stop on the way home - but I live in the provinces and am a little bit stumped by the idea of celebrity bakeries and tea shops (Magnolia, Hummingbird, Primrose, Bea’s of Bloomsbury...) we just don’t have that kind of thing up here, nice cafe’s certainly (Mrs Bridge’s Tea room is probably the best) but nothing anyone would buy a book about. Or have heard of. Because of this it’s taken me a while to warm to the idea of the Peyton and Byrne book which came out in March (I was convinced it had been around much longer and was so surprised to see it had a March publication date I’ve had to mention it). I started to weaken in the summer after having a very nice slice of chocolate orange cake in the Mainstreet Trading Company (Excellent bookshop, excellent cafe) as we left I saw Peyton and Byrne propped up in the window. Then my friend C recommended it as did Paperback reader and it looked so reasonably priced on amazon so I gave in and ordered. Sadly (but I knew this before buying) the Chocolate and Orange cake isn’t a P&B recipe (it was good, good, cake) and when the book first arrived I was a bit ambivalent about it, which wasn’t a problem because I half had it in mind for a Christmas present to a sister (which another copy may yet be). My problem with the book is that because it’s entirely my sort of baking I felt I already had a lot of the recipes covered, everything looked nice, nothing looked new. However the proof is in the baking and it seemed unfair not to give it a go (just as well I’ve decided to keep it, sister may not have been impressed with a butter spattered Christmas offering). I made the Marmalade loaf cake, and what would have been Lemon Semolina cake if I’d had almonds and lemons but I didn’t so used walnuts and marmalade which made it go a funny colour but tastes great. It’s only a matter of weeks before the latest Persephone books hit the shelves, particularly exciting this time because of Constance Maud’s ‘No Surrender’. It may be that I’m missing something obvious but it seems to me that the battle for women’s suffrage is rather glossed over in popular history. What I remember from school is the Pankhurst’s, from university a few details about the contagious diseases act more Pankhurst’s and somewhere along the line a mention of Millicent Garrett Fawcett. I definitely came away with the impression that it was a middle class movement, that Emmeline and Christabel Pankhurst got women the vote almost single handed, and that Emily Davison should have known better. I can’t remember how I came by ‘Votes for Women, The Virago Book of Suffragettes’ but it was an eye opener which made me hunt out more books which wasn’t as easy as I imagined it might be – everything had to come from amazon; I had neither internet or computer at the time so it was more of an effort than it sounds. As history goes this is really quite exciting stuff filled with character, action, injustice, faith, betrayal, feuds, and scandal - also it makes a nice change from The War (actually come to think of it either War) so why isn’t it more popular? The edited highlights that I was taught hardly do justice to the history. There is a story, probably apocryphal, about Emily Davies, Elizabeth Garrett, and Millicent Garret (Fawcett). Emily and Elizabeth were friends and the tale goes that one night when Emily was staying with the Garrett’s the two older girls and a much younger Millie were sat by the fire talking about the women’s cause. Eventually Emily sums the matter up like this; she would secure higher education for women - she went on to co-found Girton College, Elizabeth would open up the medical profession – she became a doctor after a long struggle - the second woman to have her name on the U.K. Medical Register, the first to have qualified to do so in Britain. After that they decided that Millie would have to get votes for women which arguably she did far more towards than the Pankhurst’s and all their stunts. I haven’t been able to find a biography of Millicent Garrett Fawcett and do not understand why her name isn’t better known. It bothers me to that the role that working woman played in demanding a vote isn’t celebrated more. I was taught plenty about how perfectly foul conditions were for working women in mills and factories across the country – long hours, low pay, harsh conditions. I don’t remember being taught that a strengthening trade union movement refused to admit female co-workers, or actively sought to keep women out of better paid employment, or that the emergent Labour party turned its back on working women. So there you have it, some of the reasons why I’m really quite excited by the prospect of having another piece of Suffragette literature to add to a collection which fiction wise pretty much consists of H.G. Wells’ ‘Ann Veronica’, a mention in E.F. Benson’s ‘Mrs Ames’, and Cicely Hamilton’s ‘William - an Englishman’ (which is also a Persephone book). 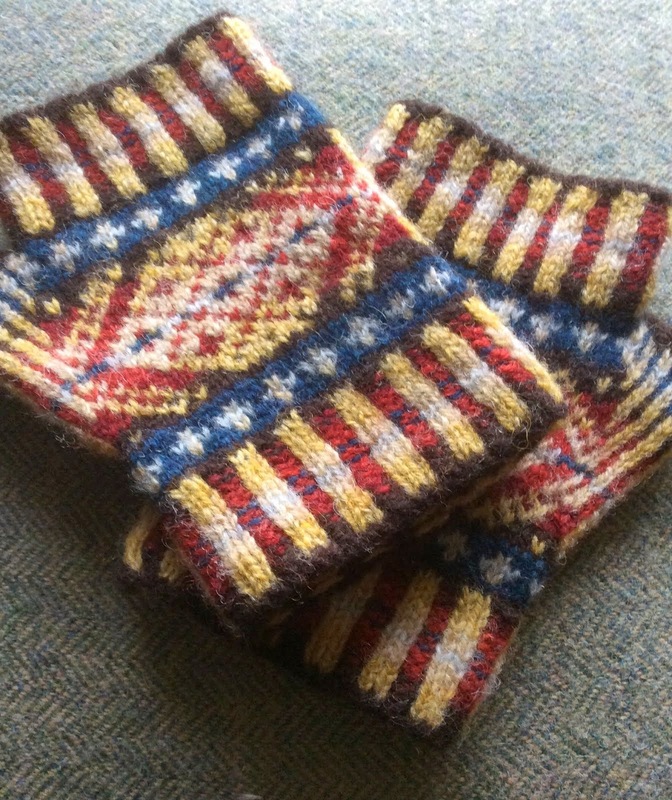 Any suggestion for more would be gratefully received. 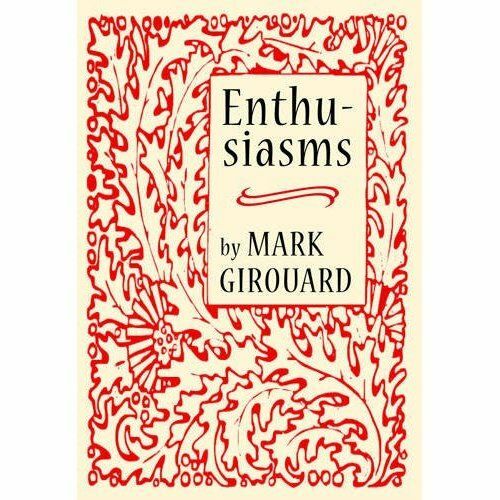 I have long been enthusiastic about Mark Girouard – his ‘Life in the English Country House’ was probably the best read of my degree so it’s a pleasure to get to know the man behind the books a little better. After reading ‘Enthusiasms’ I googled Girouard, surprisingly because he’s well respected and connected, I didn’t find much about him beyond his age (80). This is an odd little book, easy to read, hard to write about (I’ve been trying for 3 days). The first half chronicle various projects and thoughts – mostly about writers, the second half is a series of potted family biographies. Girouard has some fascinating ancestors (his would be the best ‘Who do you think you are?’ ever). Overall (and this is why I think his age was important enough to mention, although I feel slightly bad mannered for doing so) it feels like a collection of things he wants to share before the moment has gone but also a throwing down of the gauntlet. 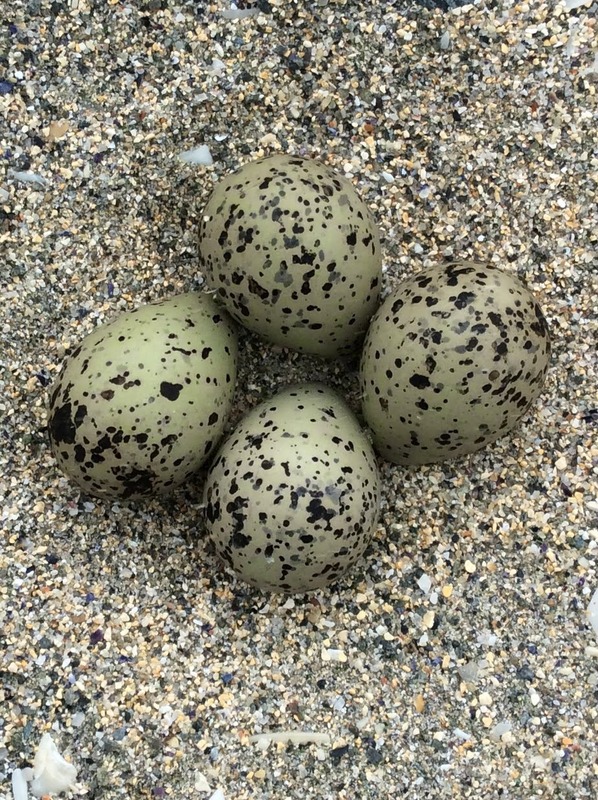 This isn’t just about sharing memories or holding forth on a pet theory it’s an invitation, explicitly made in many instances, to pick up the baton. I’m strongly reminded of two other books; ‘The Hare with Amber Eyes’ for the family stories – Girouard also has his collection of objects (they are variously books, portraits, medals, letters and diaries. There have been more but over the years they have been lost – a collection of crystals which he thinks the cleaning lady had, or been given away - pen used to sign an important treaty went to a fellow historian) and a Jewish ancestry. The difference is that he doesn’t fetishise his things in the same way – or at least not openly and that he chooses to concentrate on the very remarkable achievements of the Solomon clan who turn out to be well worth celebrating especially Saul Solomon who was a dwarf but also a moving force in South Africa in the middle of the nineteenth century. He fought all legislation which sought to bring distinctions against class, colour, or creed, was the parliamentary kingmaker and altogether a serious proposition – it’s a very inspiring story. The other book that came to mind was Susan Hill’s ‘Howards End is on the Landing’. The similarity is in the format and the sharing of enthusiasms and prejudices (as well as some pretty impressive name dropping) but I prefer Girouard. I feel he has more of a metaphorical twinkle in his eye and never more so than when talking about Walter the Victorian Casanova/pornographer and Lionel Sackville-West (a reference to his delicious tart made my mother think this was a cookbook, she soon realise her mistake.) I had half forgotten the historian’s predilection for throwing in the odd risqué anecdote - I assume as a test to see if the student is listening – it’s an effective method. I had never heard of Walter but am intrigued by him now, the important thing about him being that nobody has ever cracked his identity. Girouard was distracted by an attempt to do so for a while but everything leads to dead ends and he finally gives up – which makes the process no less fascinating. The academic process is better applied to an early Jane Austen fragment where there is a convincing argument to have it re-dated (I’m no expert on this but the theory is persuasive) and Oscar Wilde gets a drubbing when his down and out in Paris income is added up. There is also a dowager Duchess of Devonshire in the mix (not the present one) and a really good debunking of a Tennyson myth. It’s an odd little book in its mix of topics but it’s thought full and thought provoking – definitely worth picking up. I have in the past complained about my local Waterstone’s – the staff are pretty good (excellent even) but the overall selection has been up and down. It doesn’t help that it used to be an admirable branch of Dillon’s with three floors of books and elegant sweeping staircases. The staircases and floors remain but are now befouled with paperchase, a costa coffee, and until recently a travel agent. The later has gone and the books are creeping back but even so the selling space is only half what it once was and it’s been hard in the last year to find anything tempting in there. It got so bad at one time that I thought the branch was probably slated for closure and blew all my loyalty points on a book I didn’t especially want (‘The Morville Hours’ which is probably as good as everyone says it is but has somehow so far resisted being read by me) because I was afraid it was a case of use them or lose them. However things are looking up – something that I sincerely hope is a result of new ownership and here to stay. I really truly believe there is a place for big high street bookshops but I also believe that they need to play to their strengths and not get hung up with trying to compete with internet suppliers and supermarkets. Deep discounting has its place; heaven knows price is more of a consideration than ever for most of us at the moment and who doesn’t like a market but there are other considerations too. I’ve bought a few books recently, some online and some in person, both transactions have reminded me why I love real life shops. Amazon were responsible for delivering my sisters birthday present, happily I ordered in plenty of time because it arrived a week later than there estimated delivery time – which is just about as long as I was prepared to wait before trying to get hold of them to complain. Books I’ve ordered for myself are on the way but because one of them is bulky (but cheap) they’re coming via courier. I hate this, I will be at work when they try and deliver. I, like everyone else, always am. It will be a good ten days to two weeks before I can be at home on a week day to get my parcel (which makes me lucky because at least I sometimes get week days off), I will be given the option to pay extra to get my goods on a Saturday (which defeats the point of buying cheap in the first place) or I can dig out my passport and try and find a driving friend with a sat nav to take me to whatever labyrinthine industrial estate buried deep in the midlands they choose to incarcerate my books in. How much nicer was it to walk into a shop and find the very Vintage print on demand Stella Gibbons that have been sitting on my wish list unavailable for the last two months there on the shelf. It hasn’t cost me more to buy like this which is nice (at £9.99 each this was always going to be a mild extravagance) but having held the books I couldn’t let them go (presentation is particularly good for p.o.d). But it got better, the girl behind the till was clearly a Gibbons fan – she may have been responsible for these being on the shelf in the first place – she told me about ‘Christmas at Cold Comfort Farm’ coming soon (which I knew already but shows excellent sales technique as well as being generally helpful). 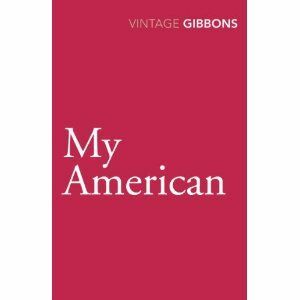 I’ve debated for weeks about buying these books and probably would have for months more, I’m pleased to have done my bit to persuade Vintage to bring out regular (cheaper and prettier please) editions of their full Gibbons range, and to have spent my money locally. It was altogether everything a shopping experience should be - a timely reminder that service, knowledge, and instant gratification are worth paying a bit extra for especially if all that comes with a well chosen, suitably eclectic choice of stock. A couple of weekends ago I went to see the latest film version of ‘Jane Eyre’ with the blonde, I quite enjoyed it, she fell asleep. Twice. Which was a shame because she could have translated the French bits that I couldn’t quite decipher because the captions on the screen (and this was a specifically captioned for the hard of hearing showing – our presence there was coincidental) where actually below the screen with only the tops of the letters visible. Nobody complained which is shame on us really because I’m sure we could have found a cheaper venue in which to nap and be confused in. 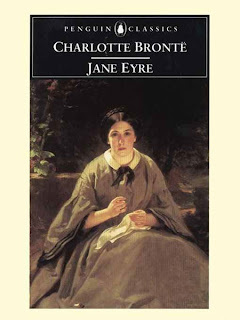 I’ve read Jane Eyre a couple of times, first as an abridged version when I was really quite young, and the full version maybe ten years ago. In-between there have been countless film versions and TV adaptations which have made another re read unattractive. I struggle a bit to be truly enthusiastic about any of the Brontë’s ‘The Tenant of Wildfell Hall’ annoyed me when I read it (I was 17, it may be that I’d have more empathy for the heroine now), ‘Wuthering Heights’ was a good read whilst reading but Heathcliff is hardly the ideal romantic hero for a modern woman. 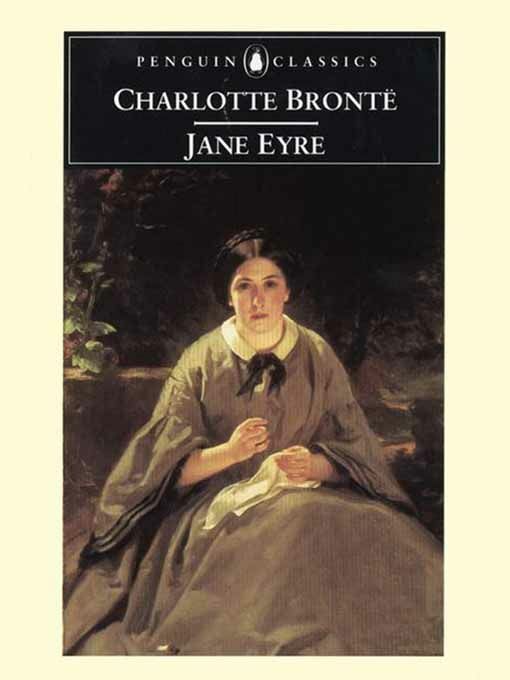 ‘Jane Eyre’ was also a good read whilst I read it but it’s easy to feel you know the plot to well what with all the aforementioned adaptations and critical gubbins about the book, and there ends my Brontë reading. Part of my Brontë problem, and this is especially the case with ’Jane Eyre’ are the critical evaluations I’ve read about it. 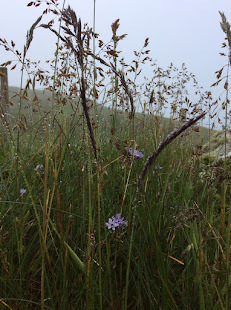 On the whole I try and avoid works of literary criticism as experience has taught that they reduce me to indignant dribbling incoherence – which would be okay in itself, but I also feel the need to share my anger with all sorts of people regardless of whether they share my passion for the topic or not. So it was when I read Elaine Showalter’s assessment of Jane full of feminist and Freudian interpretations. I’m not convinced that it’s fair to assess a pre Freud writer by post Freudian standards. All well and good to make what you will of Charlotte through her writing but another thing altogether to assume that she meant her words to be interpreted in such a way. Post film and during a half hearted tidy I picked up John Sutherland’s ‘Can Jane Eyre Be Happy’ and read the title essay again. I was indignant first time (of course she could be happy) and still indignant now but this time because I can’t see Rochester as a Bluebeard character, if there has to be a comparison with a fairy tale I see Jane Eyre as the story of Beauty and the Beast. 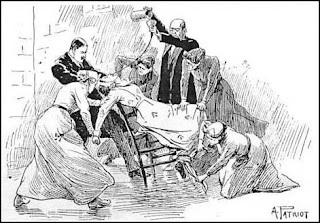 It seems to me that if Rochester had wanted to dispose of Bertha there would have been a couple of easy ways out – incarceration in a foreign asylum under a false name (which is Lady Audley’s fate) or a discreet ‘accident’ which should be simple enough to arrange given her predilection for roof tops and fire setting. Because of this I believe that his motives are kind enough. The same with Adele – apart from having to have a child in the house to need a governess without whom the plot would be nowhere, it also suggests that on some level he wants the family life that his wife’s malady prevents. I also think too much is made of Bertha’s madness in a feminist kind of way. Nothing else would quite fit but mental illness still carries quite a stigma, nothing to what it would have done when Charlotte wrote her book – it’s the only thing I can think of that makes Rochester’s proposed bigamy at all sympathetic. I can forgive the madwoman in the attic (we all come with baggage) I find the dressing up as a gypsy woman and the whole Blanche Ingram episode rather harder to understand (the gypsy bit was wisely dropped from the film in favour of some strenuous gardening which certainly made Rochester look more attractive.) I can’t help but feel that it’s this rather than Bertha that Rochester has to be punished for. Happily the introduction to my ‘Jane Eyre’ - written by Michael Mason seems remarkably sensible, if a little opaque at times, it’s a definite relief to read something I can agree with even if it doesn’t make me think as deeply as the ones I believe are wrong do. On the warmest October day on record (or somewhere near it) when I’m in a sticky heap by the window hoping for a cool breeze and cursing freshers week – excited 18 year olds newly emancipated from any sort of parental supervision are right bloody noisy - I’m mostly thinking about Christmas. I know it’s early, and hot out (which coincidentally has made defrosting the freezer a far speedier than expected job, Saturday night’s rock round my way) but I’ve already had a lecture at work from an old lady who wasn’t happy that she couldn’t buy her mince pies yet. I know it’s the done thing to protest that Christmas crap gets in the shops earlier every year but I’m not convinced and I like these next few weeks when it’s still kind of subtle and there’s no pressure to write cards or spend. I love thinking about what I’ll get people or make for them whilst it still feels like there’s all the time in the world to do it. I love seeing what shape Christmas is going to take in the shops – it looks like it’s going to be retro again. I really love having something to look forward to – that’s partly Christmas and partly the week off at the beginning of January that’s already turning into the light at the end of the tunnel. 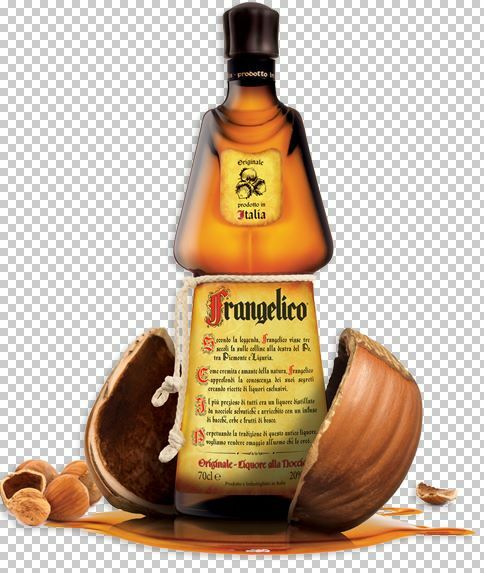 This is because already work is all about Christmas; a stock pile of Frangelico is on its way – last year’s lessons have been learned and this time the customers will get there monk shaped hazelnut liquor. They will not appreciate the forethought and effort that goes into this – things I hate about Christmas include people who leave everything to the last minute and yet imagine that anything they want to purchase will be available to them instead of having been bought already by other much more organised people. To be fair this happens all the year round, there’s just more of it at Christmas. Another thing I don’t altogether enjoy is how physically demanding the whole thing is. 23rd December last year (traditionally the busiest day) we sold a generous 5 tonnes of booze, at the end of the day the shelves were as full as at the beginning – the difference being several bruises, cuts, and aches everywhere as well as dirt that feels it will never scrub off your skin, the impression (by which I mean reality) that you have said the same thing a thousand times over, dreams about bottles, and the desire not to deal with anyone again for a very long time. But just for know and despite the sunshine I can daydream about the gingerbread tree I WILL make, the relaxed time spent with family where my sister and I WON’T fall out over what to watch on television and a general sense of good times and new beginnings ahead.